Hubby and I decided to make the most of a child-free couple of days during half term, and booked a meal at Brocco on the Park, a restaurant & hotel at Hunter’s Bar. 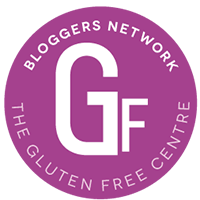 We’d been looking forward to it for ages, and having browsed their rather slick website, I knew they catered for coeliacs, so we had high expectations. The place has been spectacularly renovated and looks amazing on the outside and the inside. The decor inside was very stylish – white walls with parquet flooring and a theme of birds throughout the decor – we hoped the same attention to detail would be paid to the food. The service was friendly, and the menu was very clear about what was and wasn’t gluten free. There were a few imaginative courses on offer on the menu, as well as a specials board. I opted for a smoked chicken, chorizo and quinoa salad to start, which, when it eventually arrived, was lovely. Hubby had a smoked haddock and leek puff pastry parcel, which was so big, it looked a bit like a pasty! Well, we are in Yorkshire, home of the massive portion. 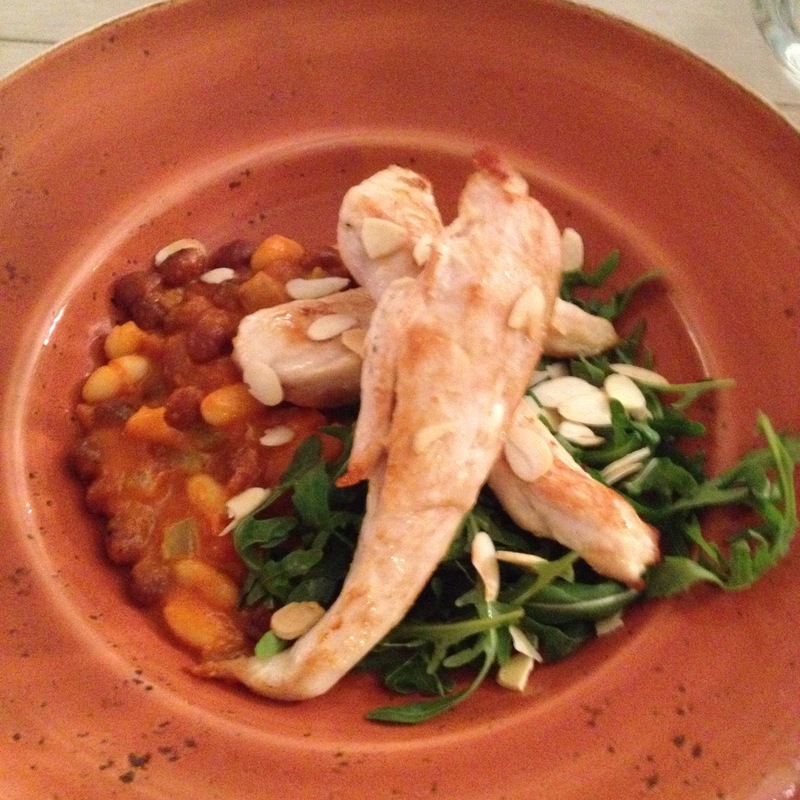 For mains, I had lemon chicken with mixed bean cassoulet and toasted almonds (pictured), Double chicken, I know – bit of a mistake really, but I really fancied the bean cassoulet rather than any the main courses, as I never cook it myself. As this was only a light bite, I also ordered a cauliflower, broccoli and parmesan bake, with seed topping. (Two starters = one main, right?) We had to wait quite a long time again before our main courses arrived – it seems like the kitchen is a bit over-run. The chicken wasn’t particularly lemony, but I thought the bean cassoulet was really delicious. Unfortunately, the broccoli and cauli bake had a very watery sauce, but the waiter was apologetic about it and took it off the bill. (New sous-chef apparently.) Hubby had the rib-eye steak, and it was cooked just as he asked – he was quite happy. We shared a burnt custard with home made gluten free short bread for pudding. That was really very nice, and seemed to have a delicate flavour of passion fruit. So the food was reasonable, but just didn’t deliver quite as highly as we expected. It was really nice, but we were expecting it to be high-end and it did miss the mark there. I worry they’ve spent more time and money on the appearance of the place. We were surprised when the waiter asked us if we had any last orders for the bar at 9pm! He explained that unfortunately, this is because the residents objected to a later bar licence during the planning permission stage and it seems they have to earn it. They are only able to take restaurant bookings up to 7.30 because of this, which is bonkers and unsustainable. And I think the rush of having all the customers arrive at a similar time probably explains why the kitchen is so busy. I really hope they are able to sort a proper licence out fairly soon, because without it, I don’t see how Brocco will survive. I really wanted to be able to rave about this place. I hope we get to go back and sit on their terrace in the summer, and maybe they’ll have things a bit more sorted by then.